Concealed carry products in this section are for weapons which will be totally enclosed, not seen and possibly resemble something other than a concealed weapon carrier. 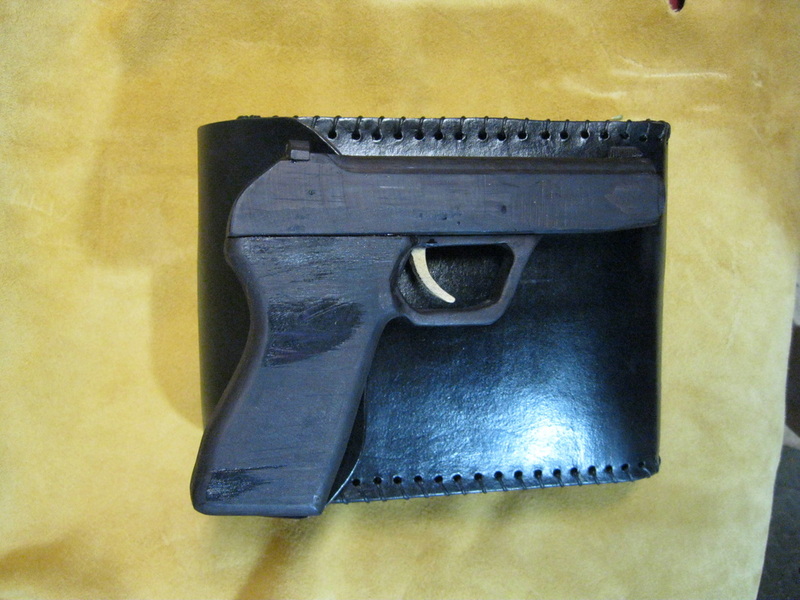 For holster-type concealed carry, return to the menu bar above, WEAPONS RELATED, PISTOL RELATED, All Other Holsters. 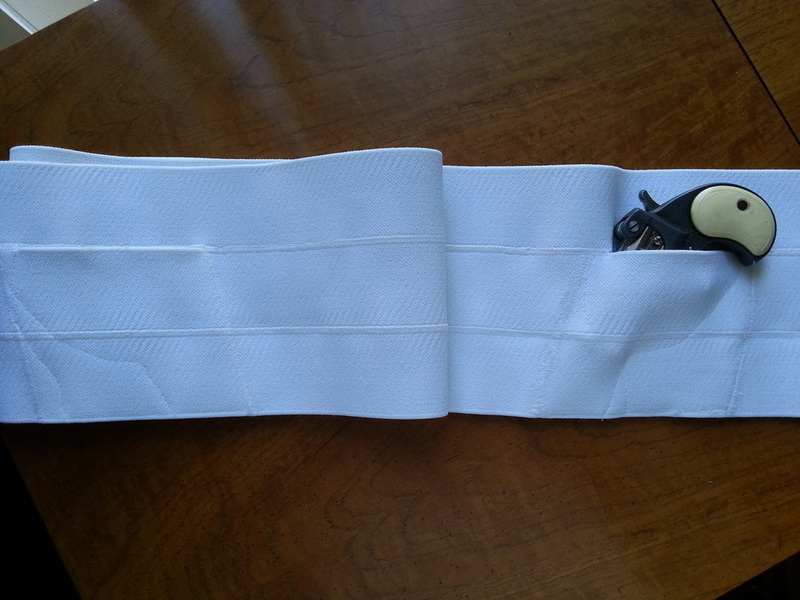 ﻿13-05-08 WAISTBAND HOLSTER A three-inch wide elastic band fits snugly around the waist under clothing. 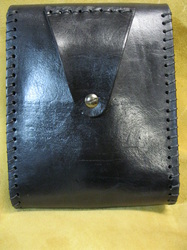 The band contains a weapon pocket on both sides and can be worn with the pockets facing outward or inward. 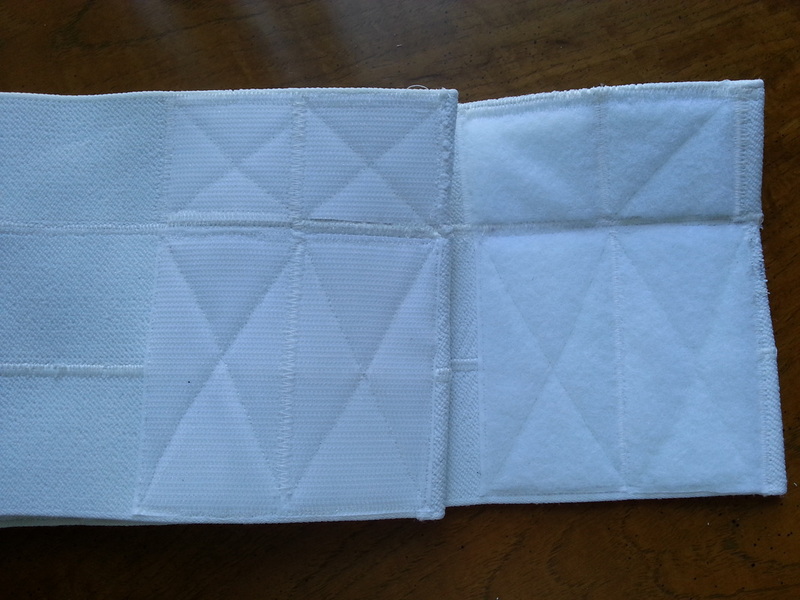 Putting on, adjustment, removal and secure fit is easy with 3" x 2" Velcro on each end. Pockets can be made to hold various types and sizes of weapons. Also available in black. 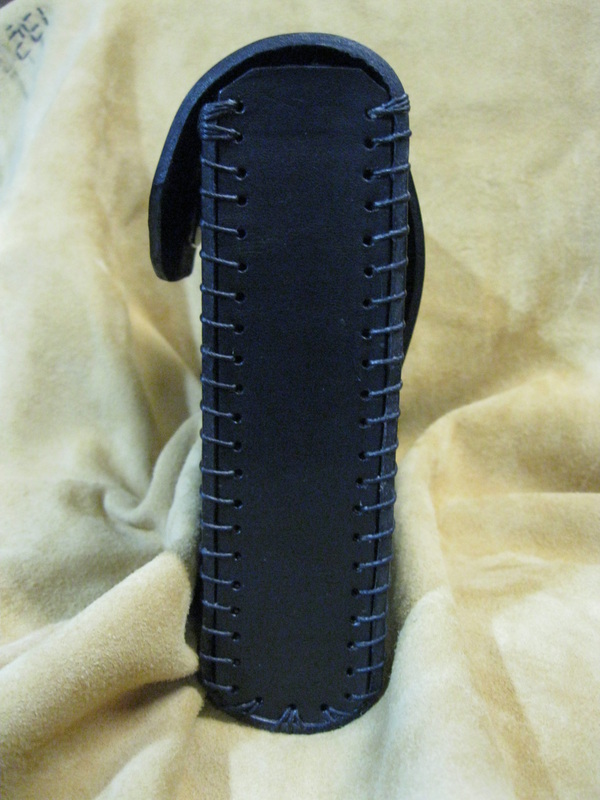 ﻿13-03-07 JUDGE SWAROVSKI Dressed out with genuine Swarovski crystals on the belt and pockets, this holster was designed to hold the Judge's Public Defender. 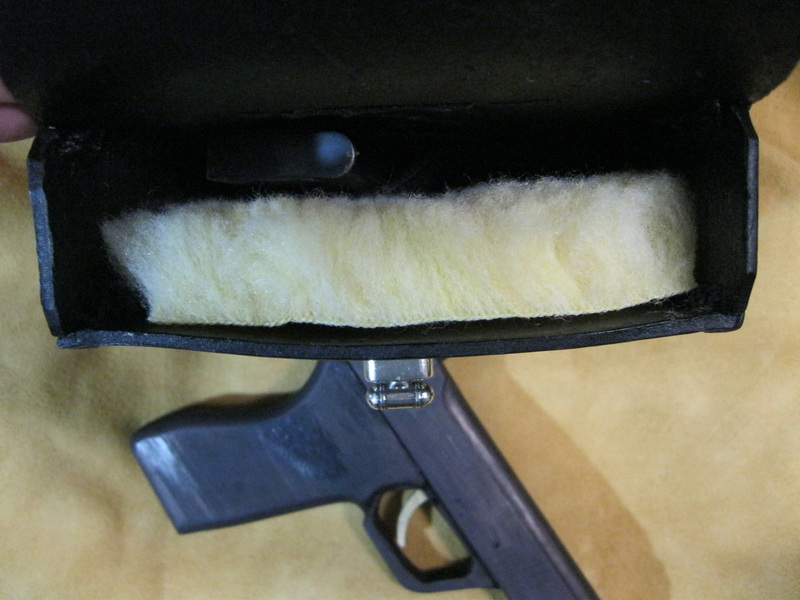 The inside mini-holster keeps the weapon securely in place. 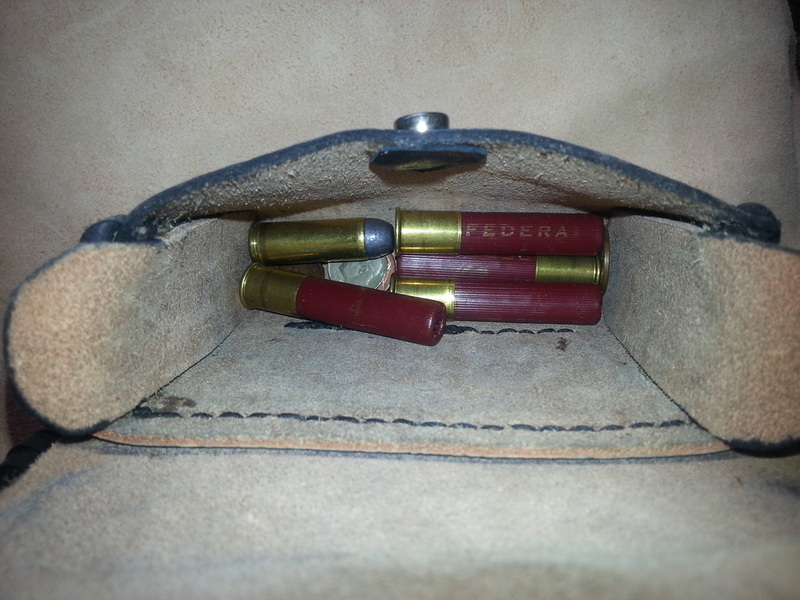 Additional ammo or personal belongings can be placed in the bottom pocket located on the outside. 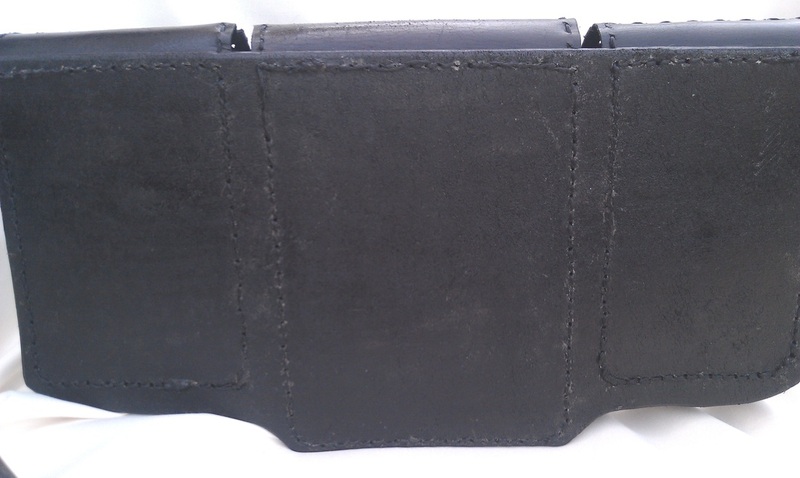 ﻿12-08-06 TRIPLE POCKET CONCEALED CARRY Three pockets are available to chose for concealment leaving two for additional ammo, cell phone, wallet, personal items,etc. 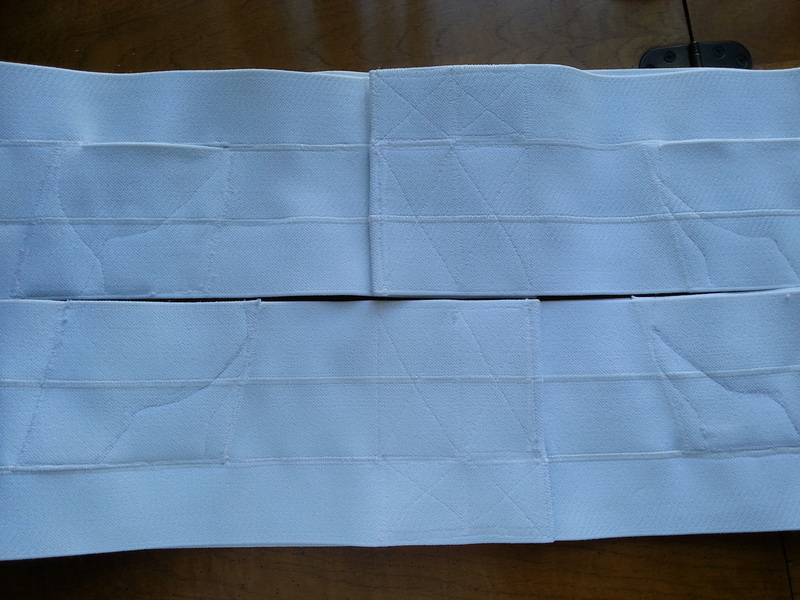 This design will be made with slides on the back to accommodate a belt. 12-07-05 THIGH HOLSTER Designed to carry practically any size weapon. The belt goes through the loop at the top; the thigh strap at the bottom is adjustable to keep it from movement on the leg. 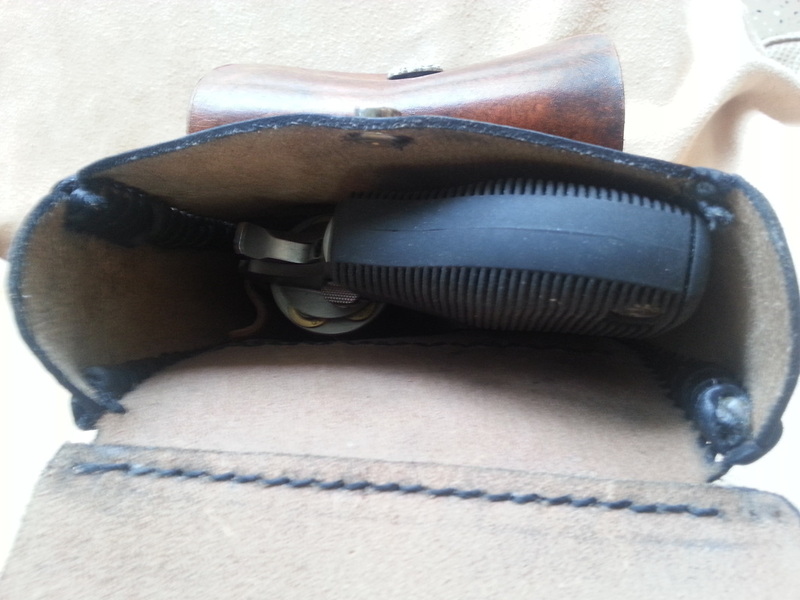 Convenient access to weapon while standing, sitting or riding by pulling up on the full-length zipper on the side. 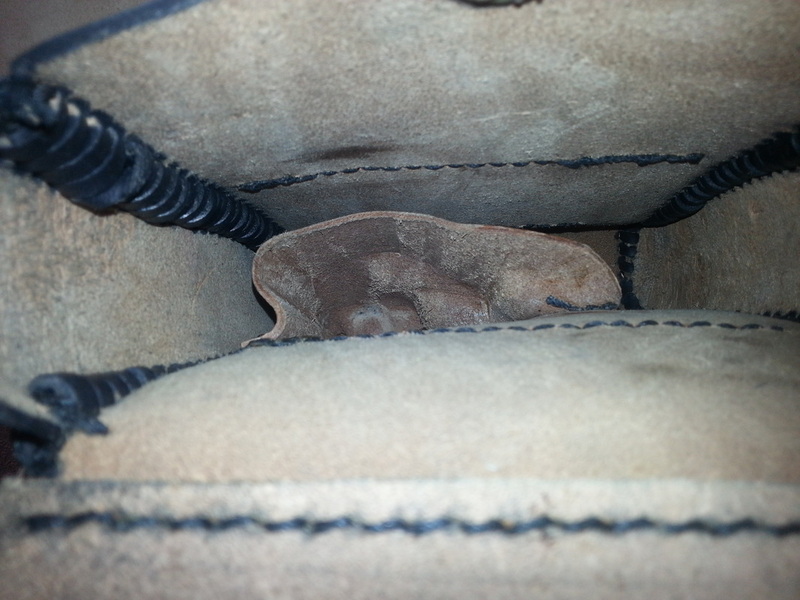 With a mini-sized holster attached on the inside, the weapon stays securely in place. 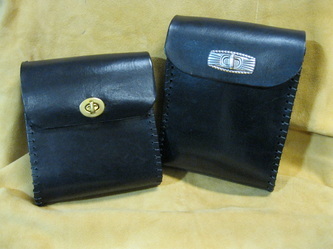 The two front pockets have room for other essentials. ﻿11-11- 04 Double Eagle Fringe Bag - Slides on a belt and sized for a small concealed carry. 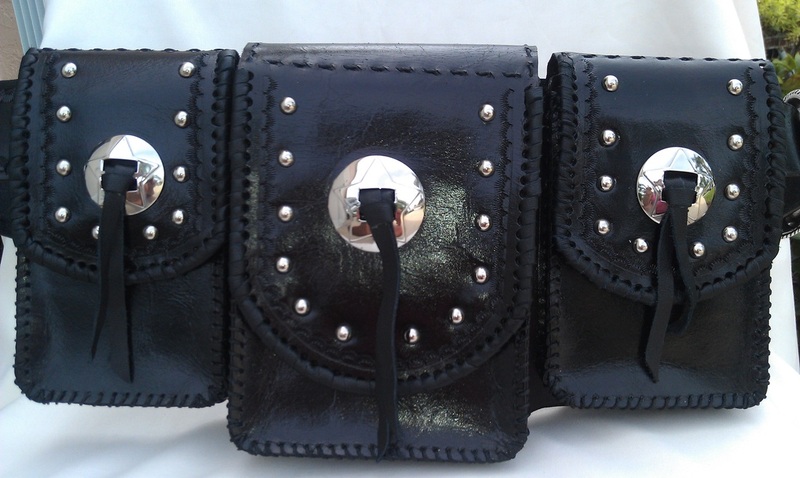 ﻿﻿﻿11-10-03 Carved Floral Belt Bag - Carved, tooled and dyed tan, brown and black. 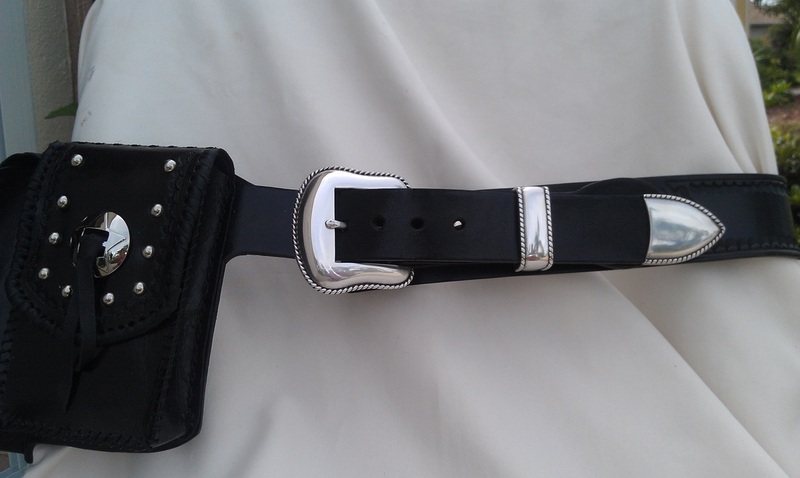 Slides on a belt, and the perfect size for a small concealed carry. 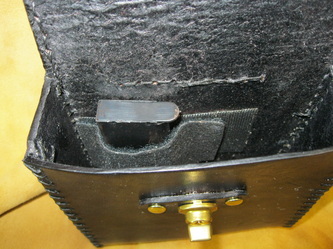 Concealed Case with belt slide attachment. 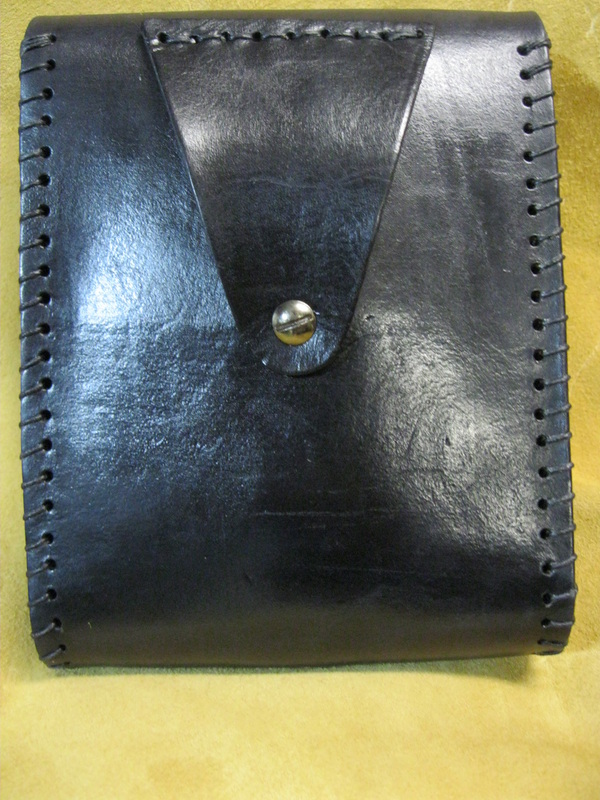 The inside back piece has a magazine pocket; the weapon grip fits above it. 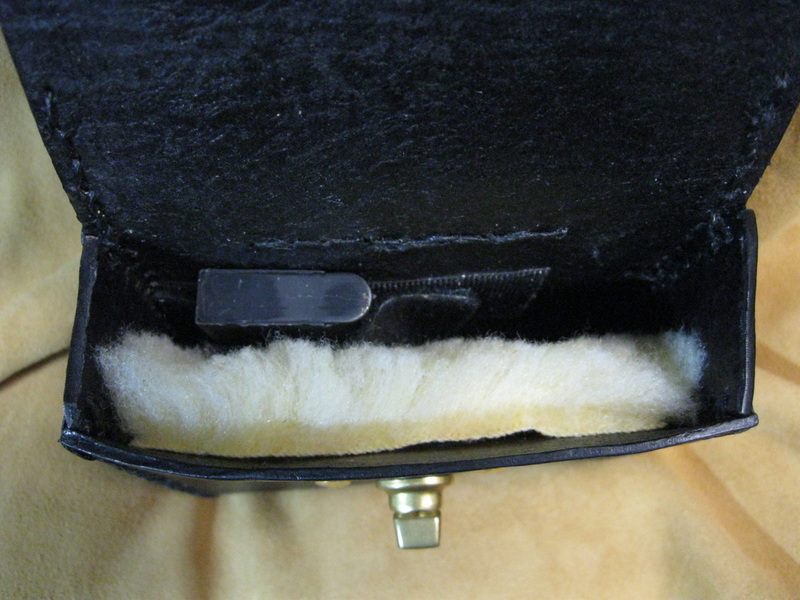 The inside front piece is lined with synthetic sheep wool which keeps the weapon in place and easily accessible.